She was of the Class of 1971 RHS; majored in business. Her first job was as a clerk at the First Street Medical Clinic and her last was for MTA's Blue line as a secretary to the president before she retired on disability for heart attacks and diabetic complications. She loved her Lord and Savior , Jesus Christ and encouraging others to follow Him, too. Her hobbies were: baking, toll painting, crocheting, arts 'n crafts, silk flower decorations and anything she could put a glue gun to! Her most loyal companion was her Chihuahua, "Buddy". She was a member of Calvary Chapel of Downey Church and her ministries were Prayer Chain, Food for Funerals, Child Education. Her favorite things were sunflowers, The Wizard of Oz, cats, a steno pad and pen to take notes at the Bible studies she loved to attend. 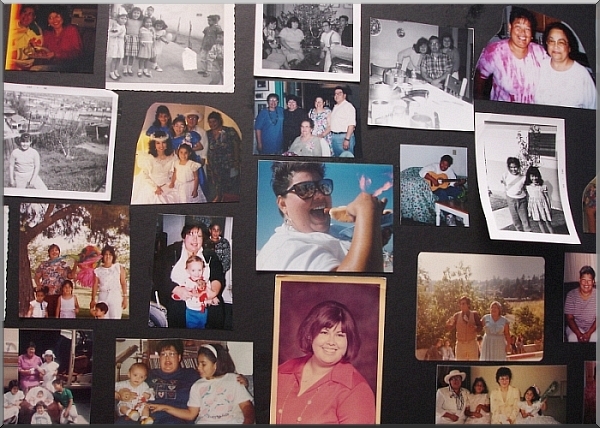 She leaves behind her husband David, her father Al, sister Irene, brother in law Orlando Vázquez, brother Eddie Guerra, sister in law Lupe... and many beloved nieces, nephews, cousins, tíos, and too many wonderful friends. 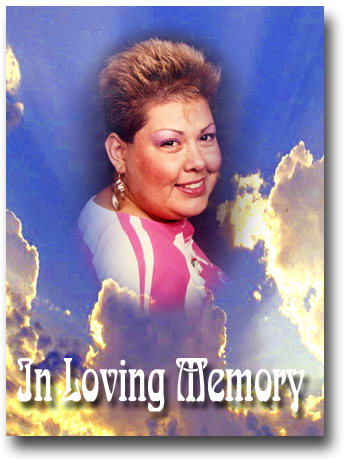 She will be greatly missed here on Earth but we rejoice at her homegoing and we know that we shall see her again . . .